Leola Agnes Laura McCauley Woodard (better known as Jinx, Queen Mother, and Nanny) was born as a twin to Leon “Jack” McCauley August 1st, 1933 in Harriston, Virginia to her loving father and mother, Hiawatha McCauley and Ollie O. Johnson. Agnes loved learning from and loving on her sisters, Augusta and Edith, and brothers – Leon, Milton, Pete, Charles, Willis, Birley, Hiawatha, and Haywood. She began working at the young age of twelve and never stopped. She graduated from Rosenwald High School in Waynesboro, VA. Her favorite subject was Math. She was a highly competitive, 5’9” basketball player; and made sure she left her mark on the court. Agnes was a dedicated member of Morning Star Baptist Church of Crimora where she sang soprano in the choir and held the position of Church Secretary for many years. Her legacy includes nine doting children. Her children, Gregory, Daniel, and Daisy Mae preceded her in death. Her children, Angel (Roy) (who cared for her dutifully), Mitch (Johanna), Fonda, Rob, Jessica (Philip), and Patsy (Stanley), continue to carry her legacy. She is survived by her only living sibling, Haywood McCauley, Senior, (Nancy) and her sister in law, Rosemary Carter. Her life also continues through twenty-six grandchildren, forty-three great grandchildren, nine great great grandchildren whom she made feel special, each in their own right. She also leaves behind a host of nieces, nephews, and other family members. Agnes adored taking care of her family more than anything in the world. One of her most prized ways was with beautifully crafted, love-infused meals including her famous homemade rolls, potato salad, fried chicken, gravy, chicken and dumplings, and lemon meringue pie. She did not offer advice unless solicited; and even then, it usually ended with, “Pray about it and you will find your way.” In the last seven years, she enjoyed some sweet, well-deserved rest. 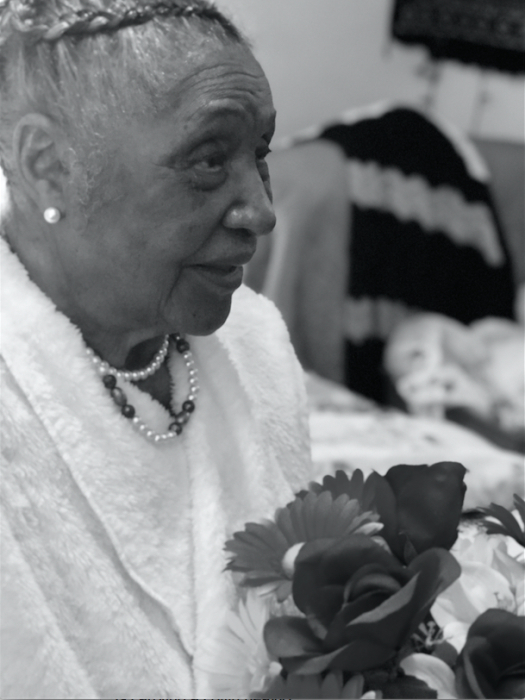 Agnes Woodard was called to her Heavenly palace on January 30, 2019. Her laughter, wit, blunt truth, and unwavering faith in love and her Heavenly Father will forevermore be painfully missed and admired. The family will receive friends from 4:00 pm to 6:00 pm on Sunday, February 3, 2019 at Charlton and Groome Funeral Home, 619 Lifecore Drive, Fishersville, VA 22939. Funeral service will be held 12:00 pm on Monday, February 4, 2019 at Morning Star Baptist Church, Crimora, VA.
Interment to follow in the church cemetery.